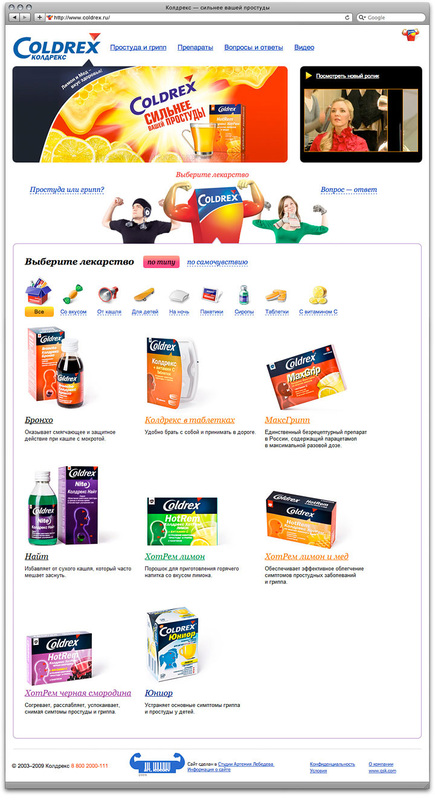 Problem: Design a promotional website. 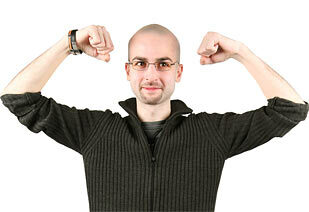 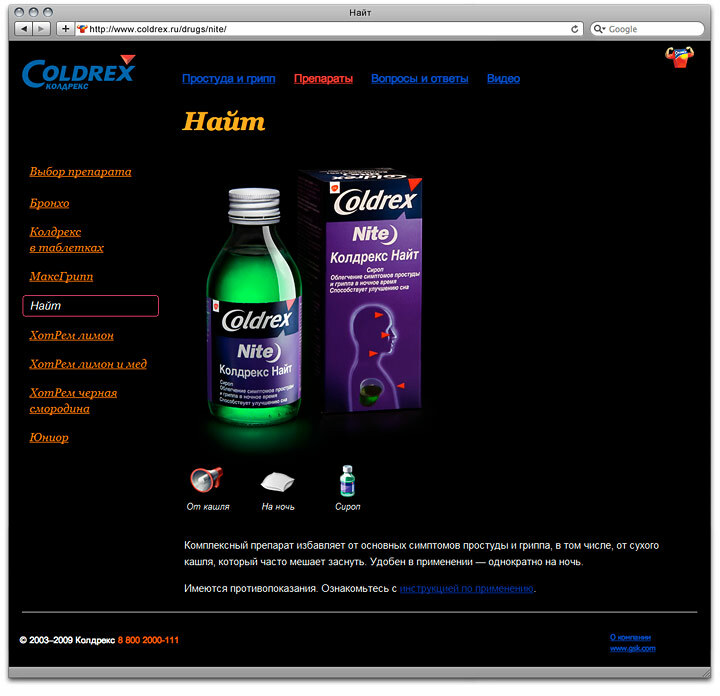 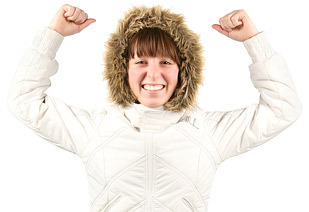 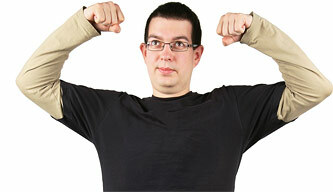 Coldrex is a series of remedies for cold and flu. 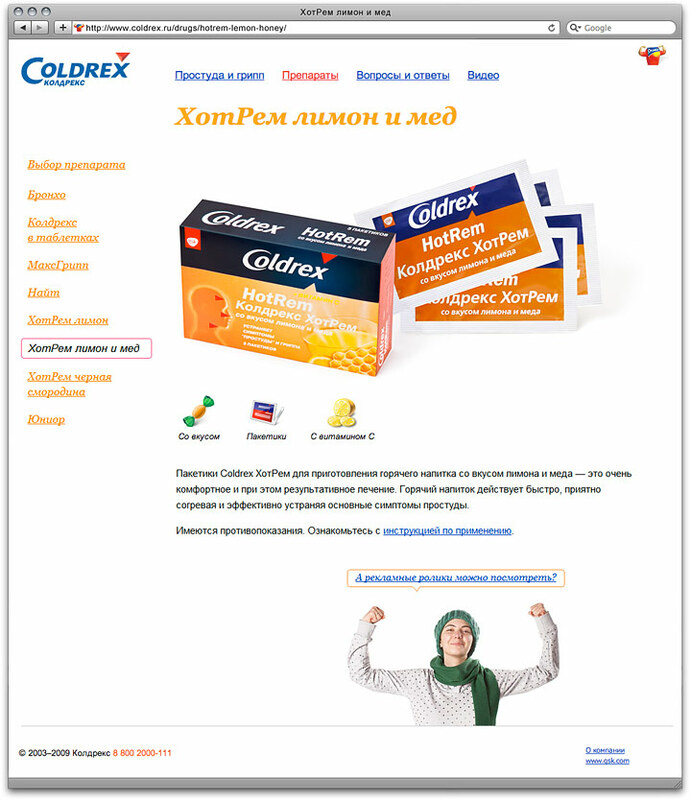 The site presents and provides details on various Coldrex products.